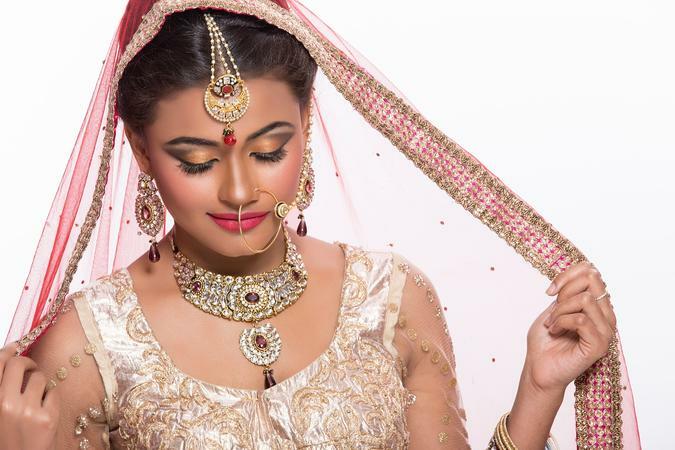 Makeup by Zeel Shah, Mumbai is headed by Zeel who completed her makeup course from BHI, a globally renowned institute with highly skilled trainers and industry experts. She is a professional makeup artist and she has done makeup for brides, photo shoots, video shoots, TV shows, etc. Zeel have worked with top industry artists for makeup and hair styling and looks forward to do so in the future. With Makeup by Zeel Shah on your side, you are sure to be a stunning bride! 4/64, Zalawad Nagar, Juhu Lane, Andheri (west). Mumbai. Makeup by Zeel Shah is a Bridal Makeup Artist based out of Andheri West, Mumbai . Makeup by Zeel Shah's telephone number is 76-66-77-88-99, Facebook page is Makeup by Zeel Shah and address is 4/64, Zalawad Nagar, Juhu Lane, Andheri (west). Mumbai.. In terms of pricing Makeup by Zeel Shah offers various packages starting at Rs 15000/-. There are 2 albums here at Weddingz -- suggest you have a look. Call weddingz.in to book Makeup by Zeel Shah at guaranteed prices and with peace of mind.